This necklace is a true attraction to the eye. Silver German crystals are showcased and surrounded by grey, gold, and black Japanese seed beads. 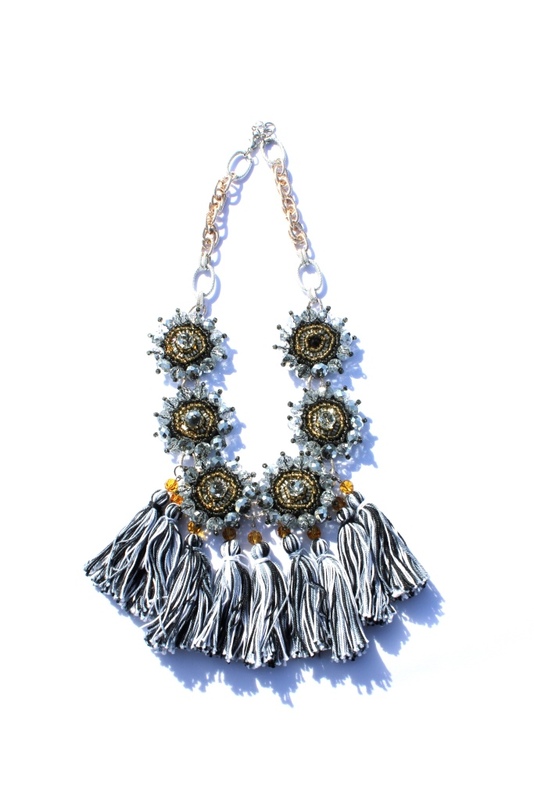 Each pendant is surrounded by Silver German crystals and accented with hundreds of grey, white, and black tassel threads. Hangs from a rose gold and silver aluminum chain with rhodium lobster lock. This stunningly delicate necklace is comprised of German silver and navy crystals artistically wired together and draped in a waterfall fashion and up the neck. Lobster clasp closure.